Two drawer vanity unit with LED lighting. 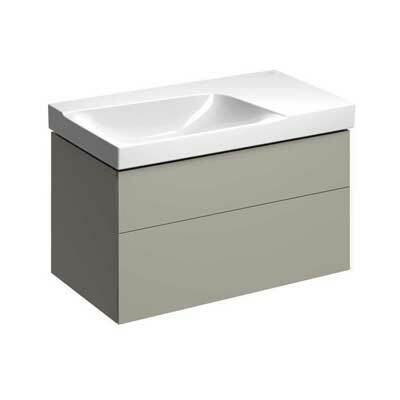 Compatible with XENO² 900 mm wide washbasins with shelf space to right. 880 x 462 x 530 mm.